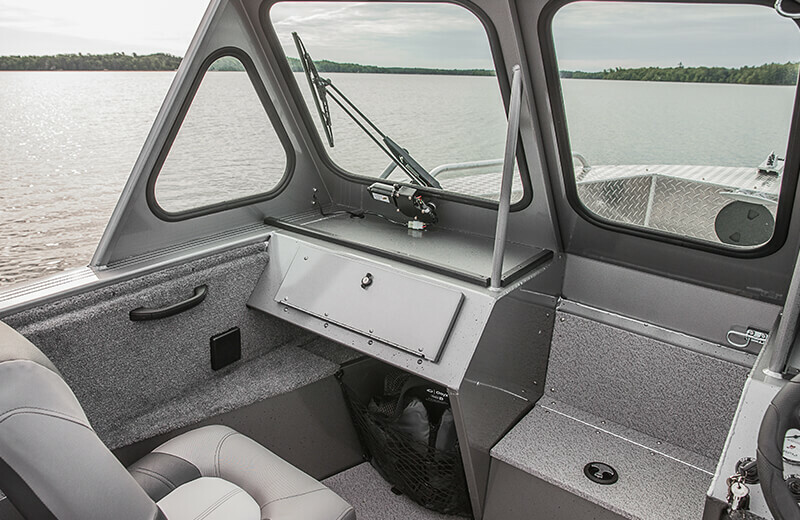 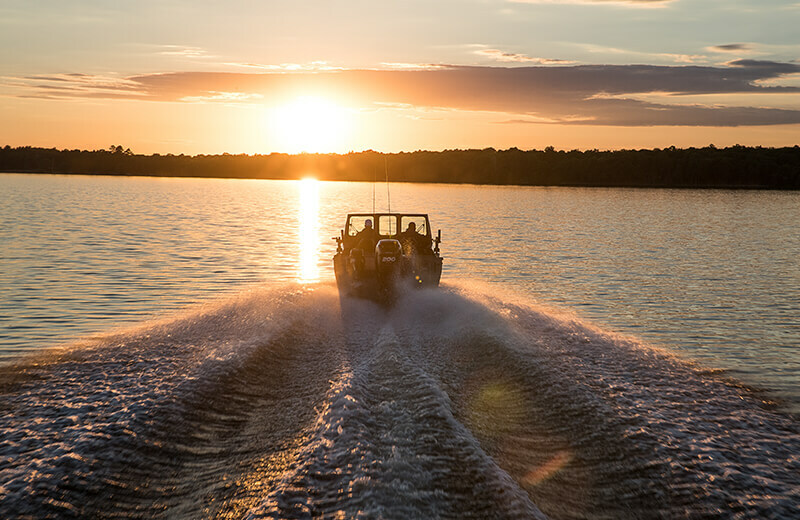 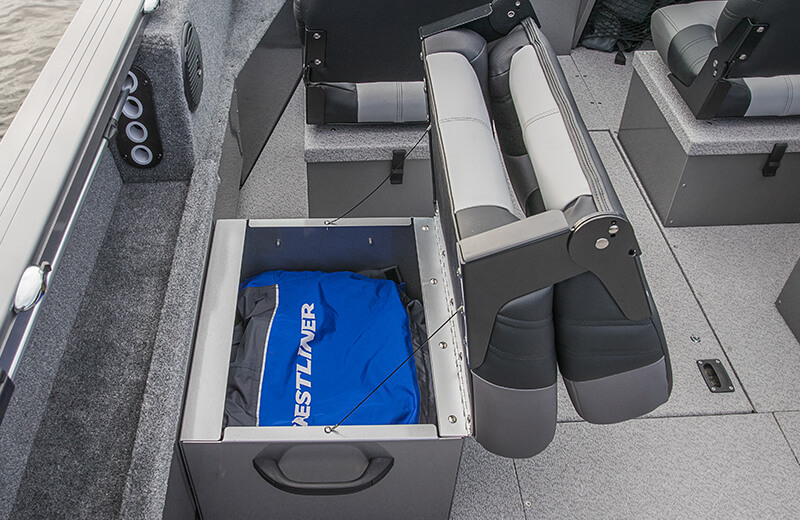 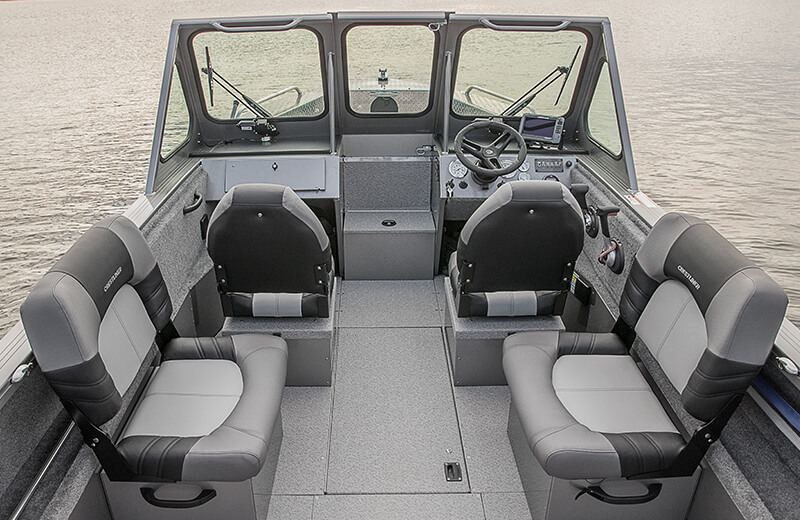 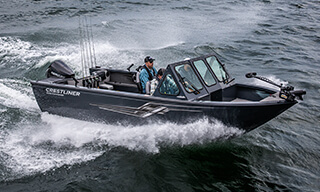 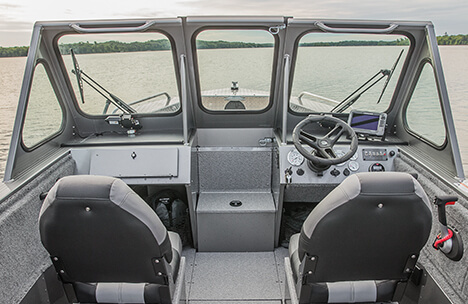 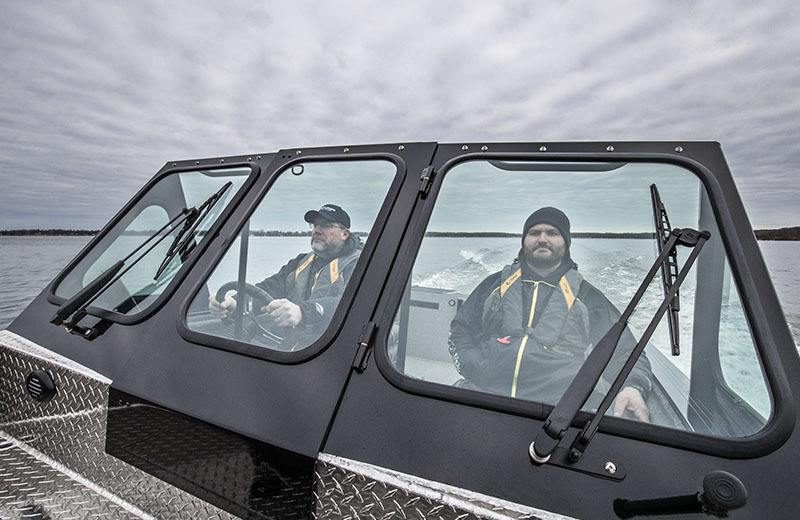 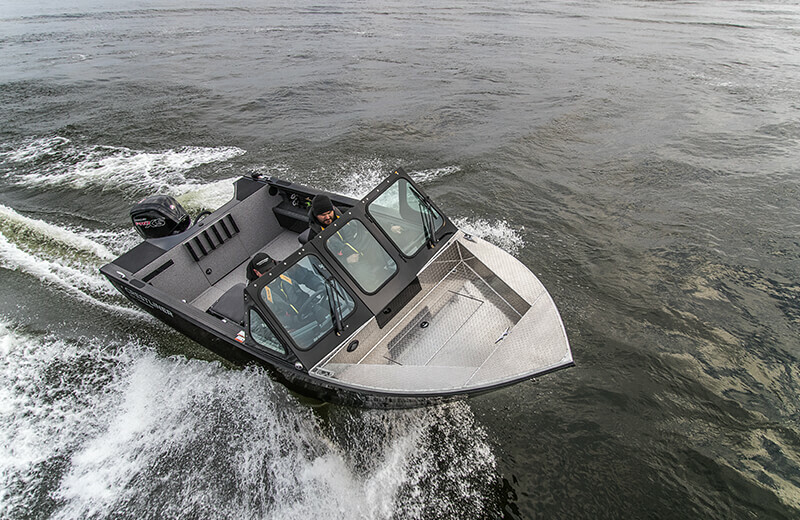 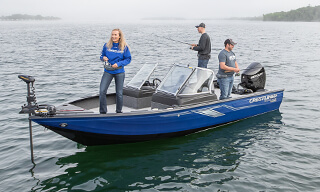 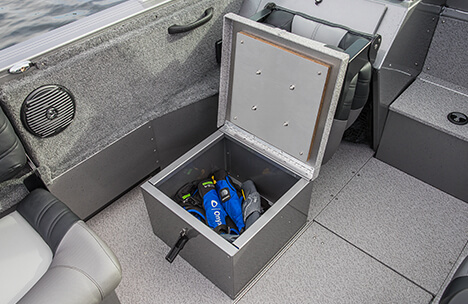 Take control of the elements thanks to a fully sealed walk-through windshield, step up storage box, a durable all-aluminum console and optional wipers to keep the water at bay. 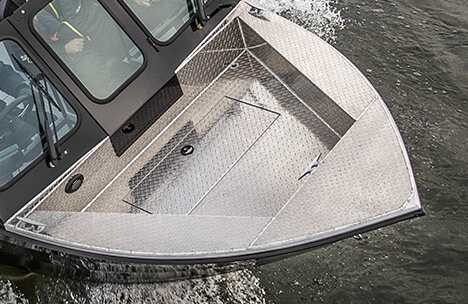 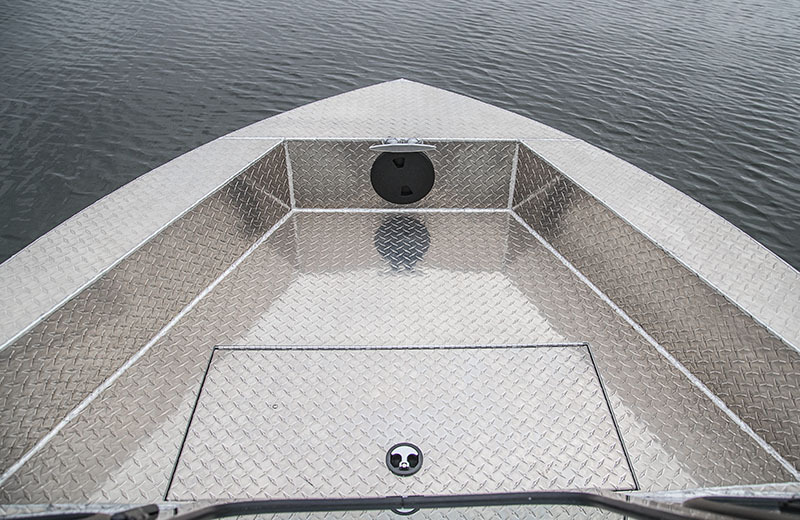 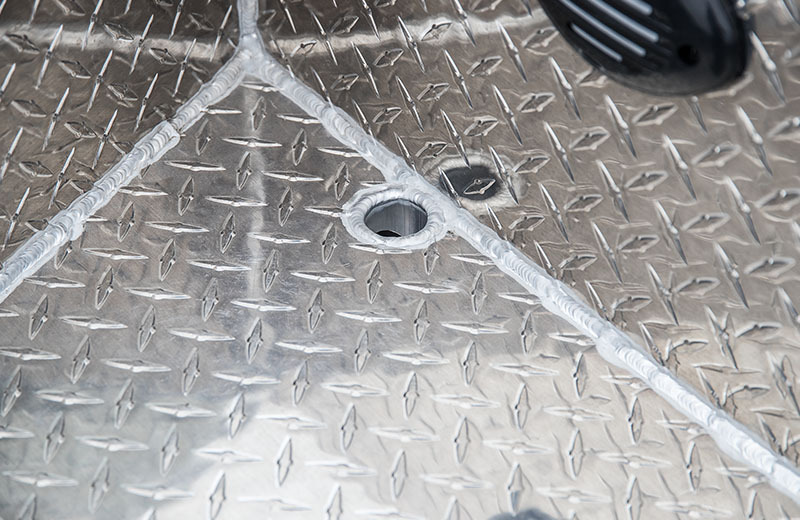 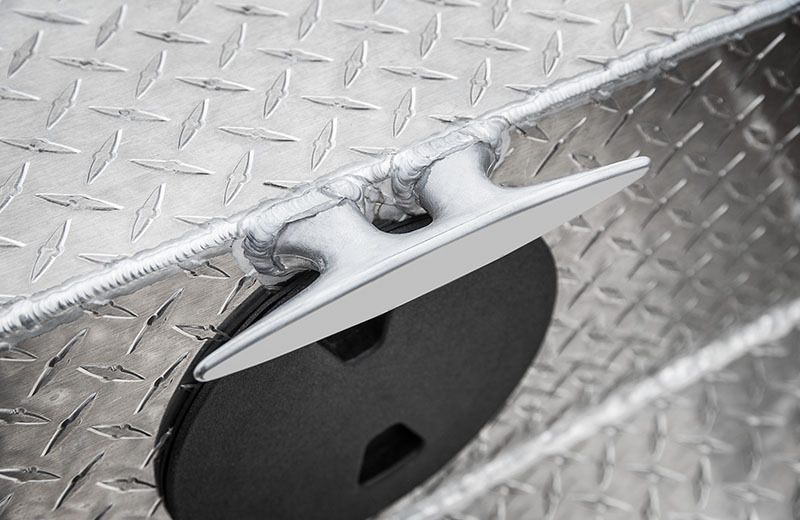 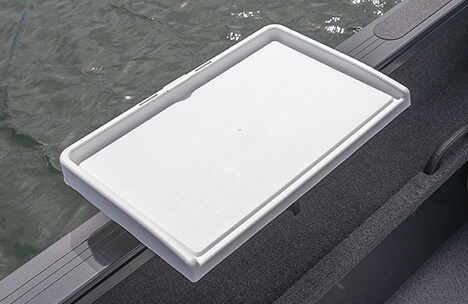 Durable diamond plating is welded to the bow for a fully sealed deck that includes 3 heavy-duty aluminum cleats, a livewell and bow drain holes that are positioned on each side of deck floor to allow for easy drainage. 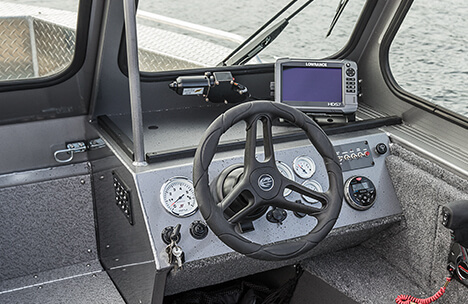 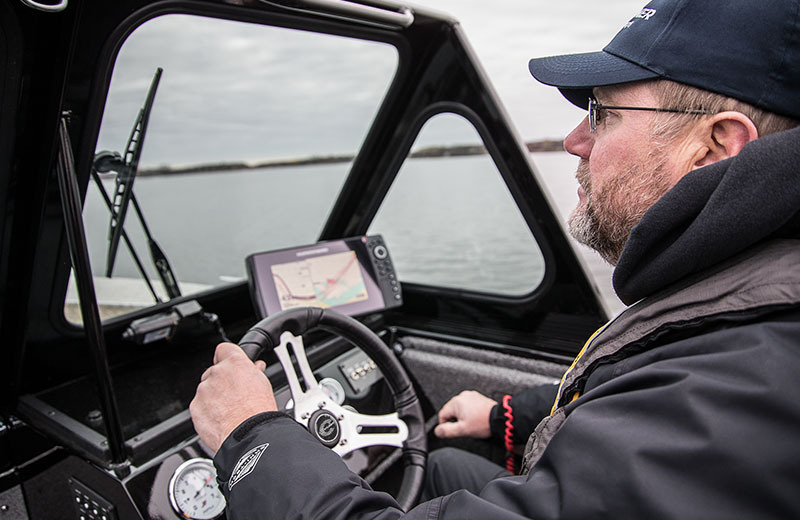 The tough, all-aluminum console features speedometer, tachometer, trim and fuel gauges, large flat surface for mounting electronics, toggle switches and a 12V power outlet. 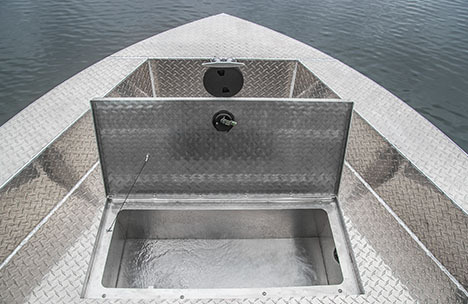 Keep your catch fresh all day with a 22-Gallon aerated livewell in the bow. 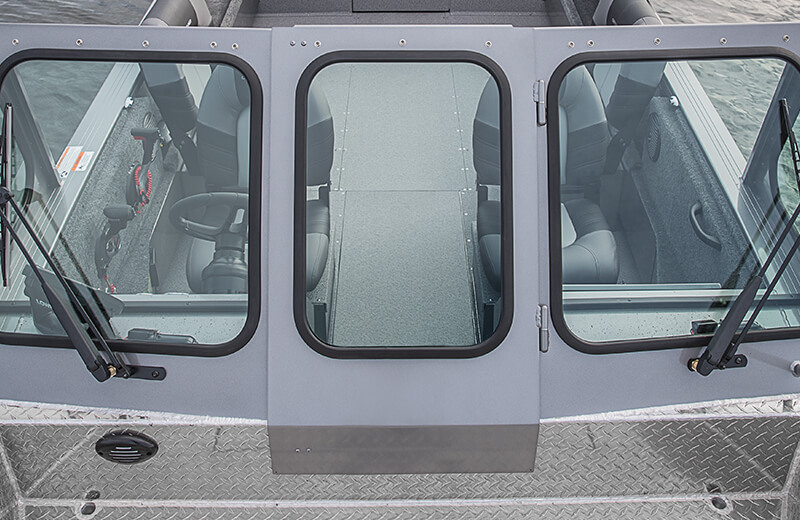 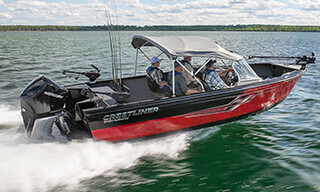 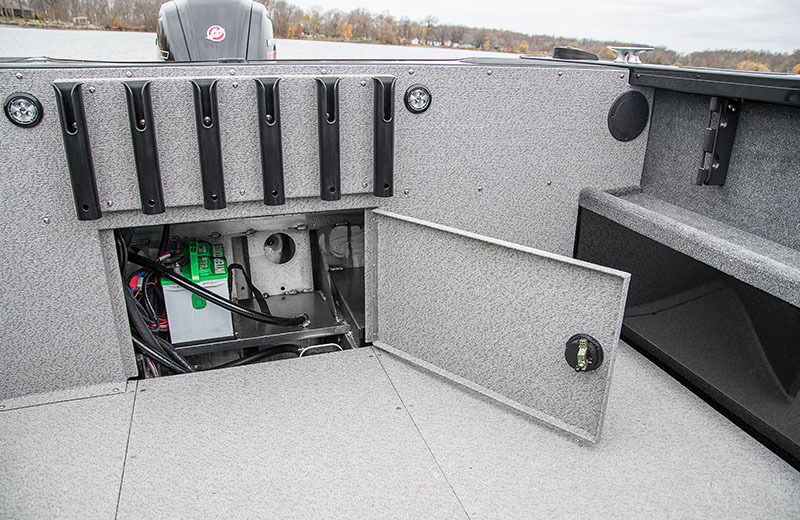 Enjoy more room to fish at the back of the boat with the Space Saving Transom. 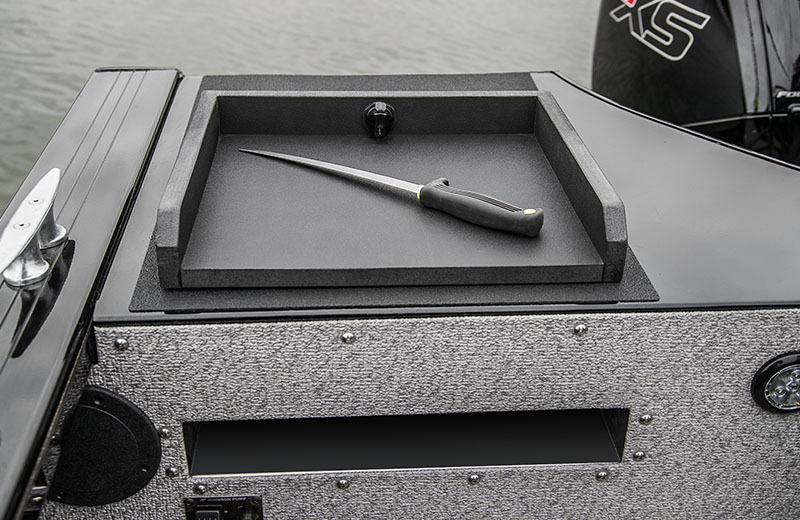 Additionally, it features a fully enclosed, removable storage drawer that can be placed on the stern non-skid pad to be used as a cutting board for bait. 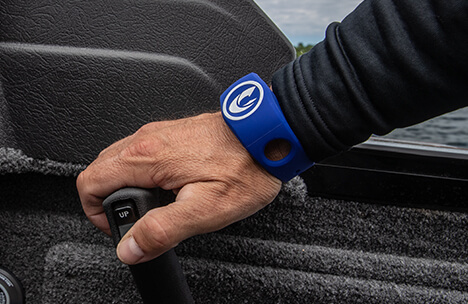 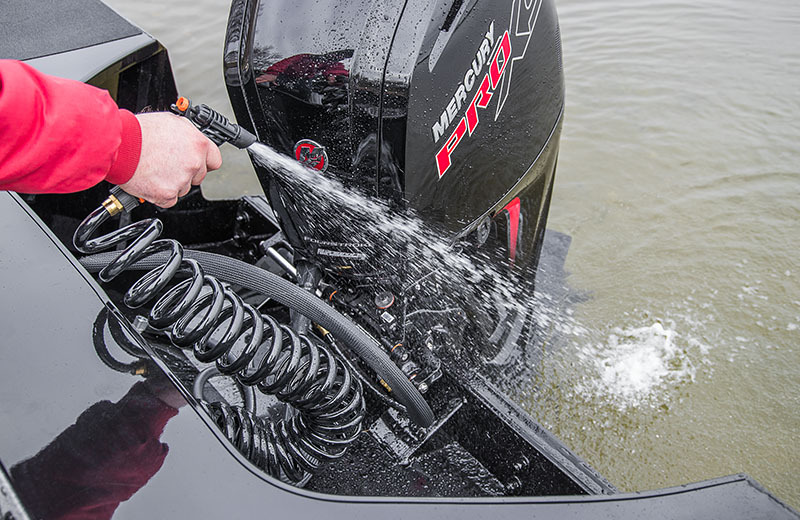 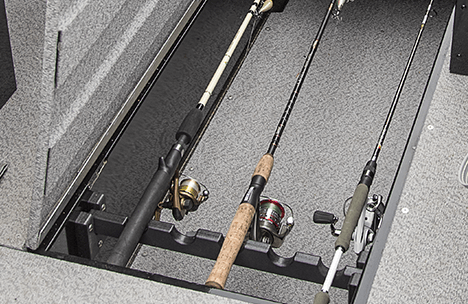 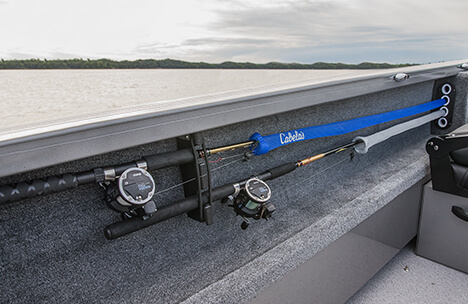 Center locking in-floor rod locker has 6 tubes at 7'6"capacity so you can be prepared for when the bite is on. 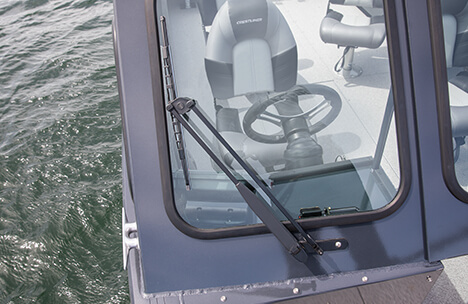 Starboard and portside under-gunnel rod racks are easily accessed to stow rods. 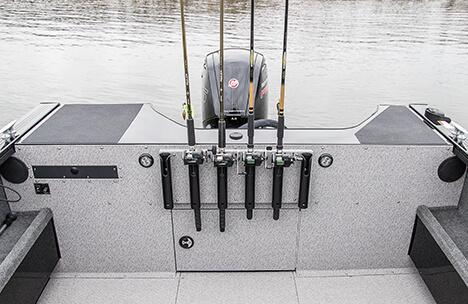 Each rack accommodates up to four 9'6" rods. 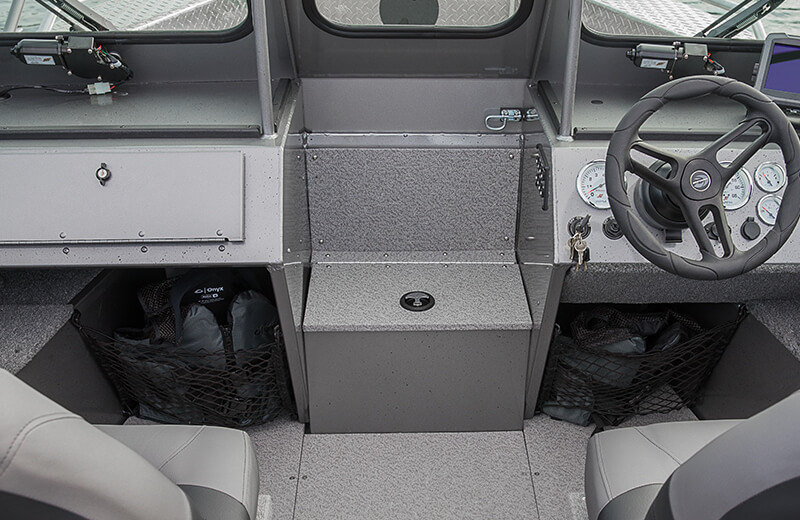 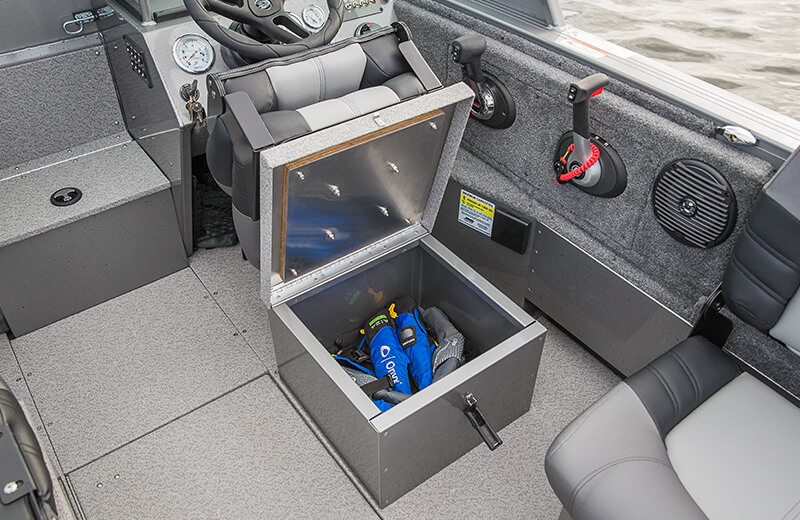 Replace pedestals with storage boxes below the helm and passenger seats for additional storage space. 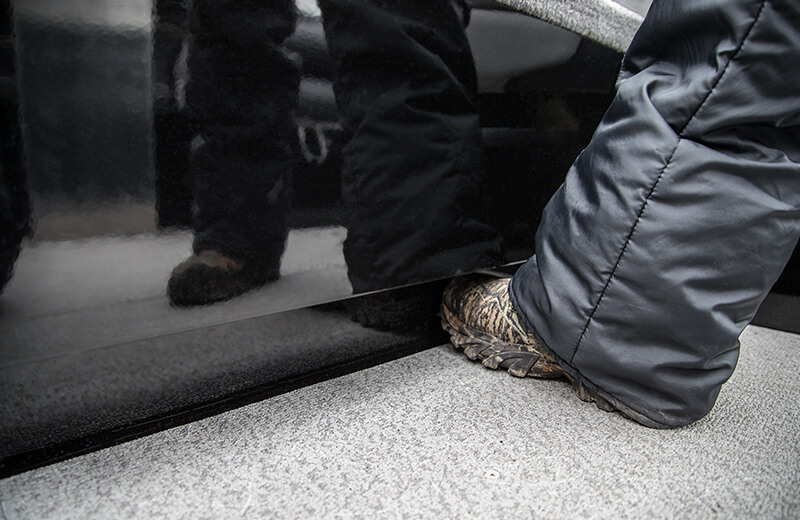 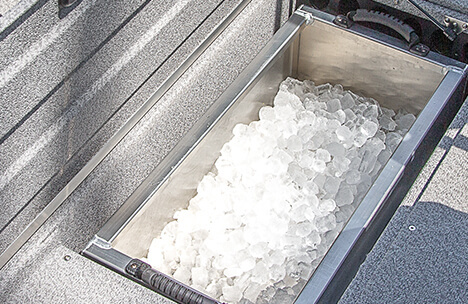 Keep your catch on ice with the optional in-floor fish box. 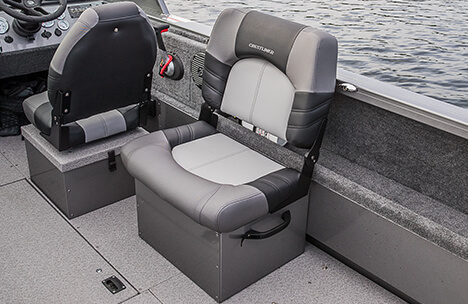 Port and starboard side bench seating with ample tuck-under storage. 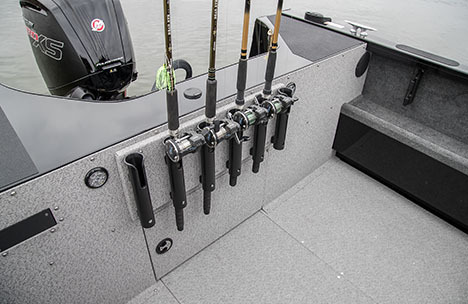 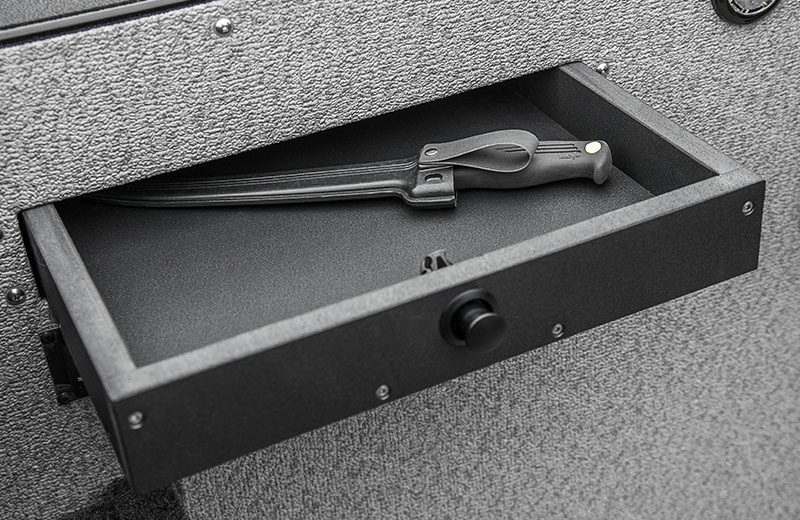 Optional vertical rod holders keep up to six additional rods within arms’ reach. 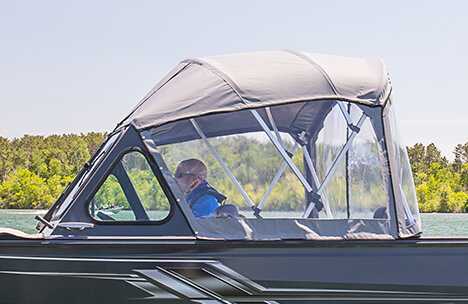 See clear in whatever weather Mother Nature throws at you with optional windshield wipers. 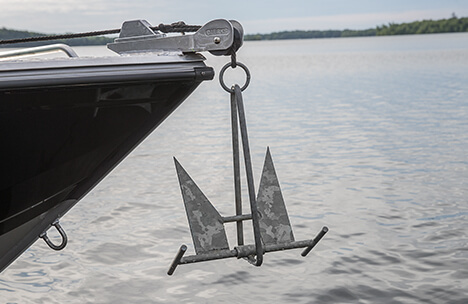 Hold your spot where the fish are biting with the easy to use bow anchor.